Last week I was in New York for my first Finovate event: FinovateFall. As a first-time “finovater”, I was taken aback by the sheer number of people at the event — and pleasantly surprised at how excited attendees were to be there. Everyone seemed genuinely interested in talking about innovation. It was easy to strike up a conversation — something I’m sure I did with borderline annoying frequency. Maybe it’s just because I deal with digital adoption every day, but I also noticed a lack of focus on how to get customers to actually use all the cool new tech. After listening to the Breaking Banks Power Hour roundtable, it seems like what’s also still missing is the big picture look at how to implement all this cool tech as part of a customer experience (CX) strategy — and how financial institutions can develop a culture of innovation that supports that strategy. But enough about what I thought! Here’s what eight industry experts had to say about the event. 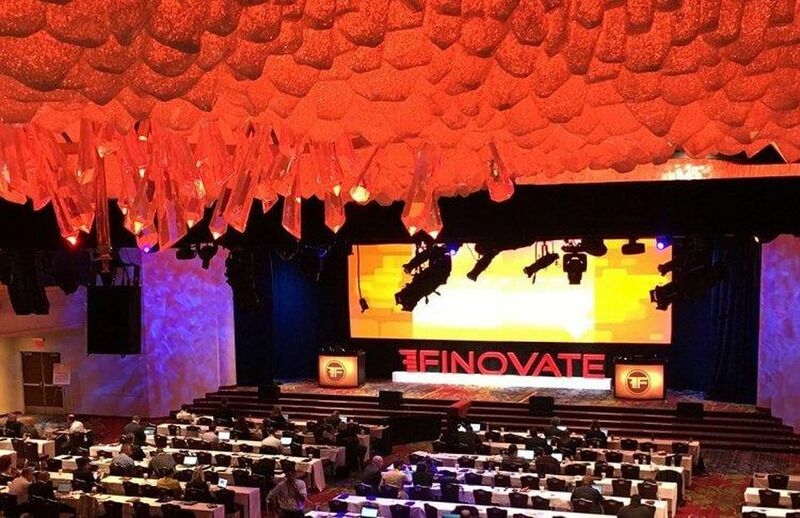 Despite its impressive size, Finovate remains an almost intimate conference relative to the likes of Money 2020. Lots of opportunity to network amongst the fintechs, techs and bankers in attendance. Always amazing when you can get to listen to the likes of Brett King, Jim Marous, Sonia Wedrychowicz and Alex Tapscott discussing digital transformation, banks vs. and partnering with fintechs, the world of blockchain and cryptocurrencies and so much more. “This is the third Finovate I’ve attended, and there’s a big shift from the previous focus on payments as a differentiator, to using data from all interactions to provide the best digital experiences. Fintechs are looking at all aspects of the journey, and not just direct customer/member facing technology. I noticed a number of solutions like Tala and SecuredTouch aimed at removing friction in authentication and security, and others like Launchfire on improving the training of front-line staff so they can recommend and educate members on how to use digital services. “As a credit union, we have a strong focus on improving the financial well-being of our members, and I was particularly impressed with solutions from BillShark that helps reduce the expense of regular bills, and Meniga that provides better visibility and context into everyday transactions and encourages better financial choices.